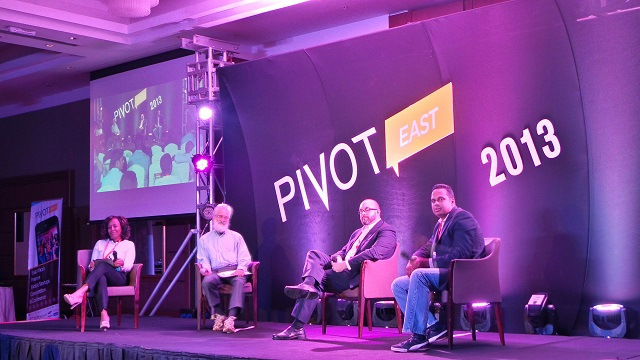 The new finalists to compete at the 2014 Pivot East were announced today. These were picked from the 50 semifinalists picked some 3 weeks ago. The 25 are categorized in 5 categories of 5 each to pitch at the pitching conference which will be held at an undisclosed location in Nairobi Kenya on the 24th and 25th of June. “The contestants present innovative and creative ideas that could transform the socio-economic development of the East African region,” commented Chase Bank Head of Brand and Corporate Affairs Magdalene Mulandi while lauding the startups for their fete as she wished that Chase Bank be part of their journey in pursuit of becoming tech entrepreneurs. Chase Bank is the Gold sponsor of the Pivot East Conference. Other sponsors of the competition include; InfoDev, Motorola Solutions, Intel, Samsung and Facebook. Finance category; Valuraha, Chamasoft and Chura from Kenya and Beyonic and Ensibuuko from Uganda . Read more about them here. Enterprise category; Thinvoid (Uganda), Online Hisab (Ethiopia), Buymore, ASim Mobile and Offers Africa from Kenya. Read more about the here. Entertainment category; Safari Tales, Muva Studios, Momentum Core and MapJam from Kenya and Ubongo from Tanzanai . More about them here. Utilities category; Maramoja Transport, Gari Sms, Mavazi, Sendy and Mafundi from Kenya. Read more about them here. Society category; SokoNect, Totohealth, SokoText from Kenya and Zapmedic and Moquestions from Uganda. Read more about them here. The list of finalists was picked by investors ranging from venture capital firms, angel investors to impact investors. Pitch videos and demo videos also played a part in the selection. Moving onwards, the finalists will receive training, coaching ans mentorship in the coming weeks to assist them improve vital things like business models and startups positioning for the conference audience. These sessions will also be open to the startups who missed the cut. Previous articleIs The Surface Pro 3 The Right Device For You?